This post, the fourth and final article in the series on interior design of basements, contains several tips for designing a basement office space. Have you ever wished that you had a quiet space all to yourself where you could concentrate on office work and check your e-mail? A nook in your basement may be the perfect answer. Even small basements have room for an office nook. If you don’t have much space, how about a closet office? Such offices require only the space of a clothes closet. Shelving, a file cabinet, a desk or table, and a chair hiden within. An adjustable gooseneck lamp provides light that can be focused where it is needed. The door or doors close when the office is not in use, and a lock can be added if documents need to be kept secure. If keeping the office separate and secure is not a priority, hang curtains instead of building interior walls. Another option is to buy or build padded dividers to set apart an office space in your living area or bedroom. A third choice is to create an open office nook in the unused space under the basement staircase by paneling the top, back and sides of the space, building in some shelves, and adding a desk and chair. No matter the space you choose, be sure to include power and lighting in your design plans. If you’d like an office with a more traditional style, you might frame out a few walls in one corner of your unfinished basement or in a corner of your basement’s living area. This way, only two new walls need to be constructed. Choose a corner that has an egress window well to provide safety, ventilation, and light, or add an egress window to your design plans. The atmosphere these window wells provide will make working in the office a pleasure instead of drudgery. Plus, installing window wells is an easy process. If you do decide to install a window well, be sure to look into installing an egress window well to add natural light and beautiful design. Now, imagine yourself using your office. Where do you need electrical outlets? What about phone lines or connections for satellite or cable? Think about what would happen if you rearranged the space to suit future needs and preferences. At that point, where would connections and outlets be most convenient? Include enough of these to accommodate the addition of office equipment or an increase in the number of people using the space. In the end, you’ll want to talk with your family about what will work best. Should the office space be private? Will more than one person make use of the space? How often will it be used, and at what times of the day? Will surrounding noise be a problem? The answers to these questions will determine the kind of space to create. 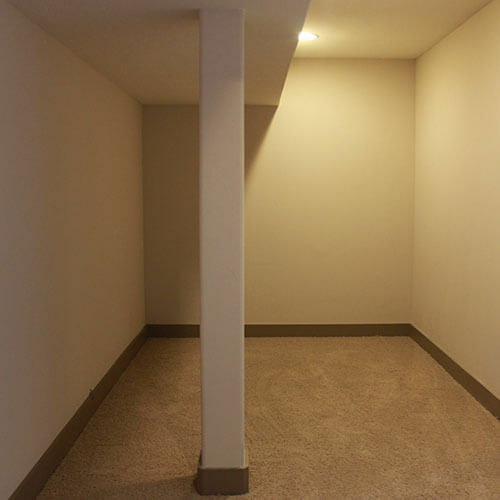 If every member of the family has the opportunity to share ideas, the entire family will look forward with anticipation to the completion of your home’s new basement office.